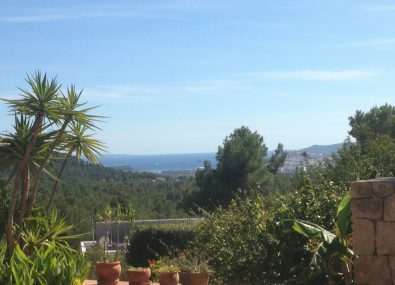 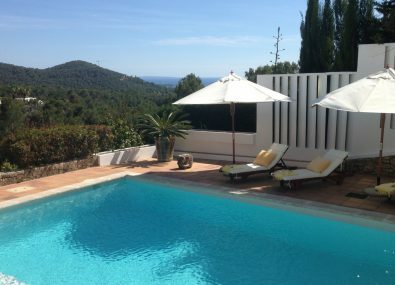 Villa Can Bernat is a beautiful villa in Ibiza with stunning views, located within the exclusive private gated community of Can Furnet, five minutes from the pretty village of Jesus and ten minutes from Ibiza Town. 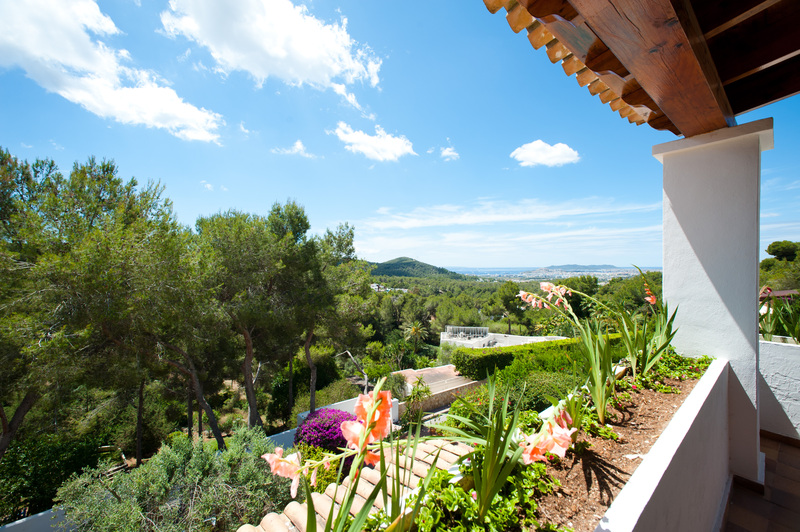 Can Furnet is a gated community, offering privacy and security in a great location. 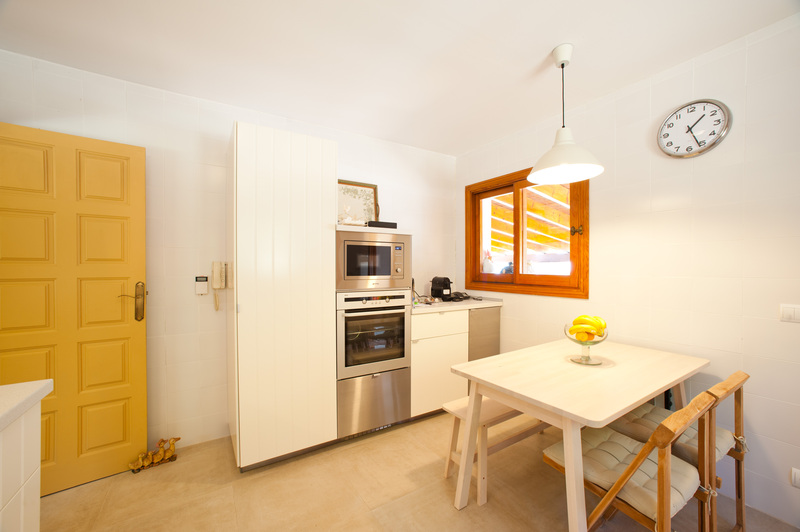 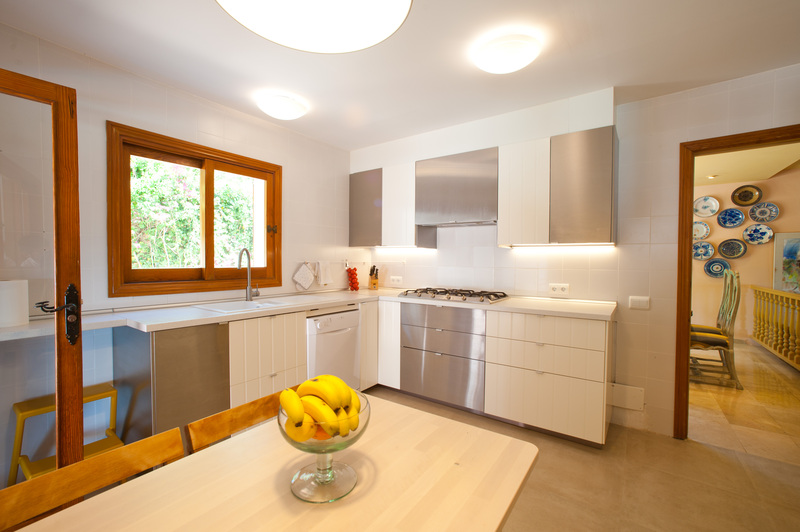 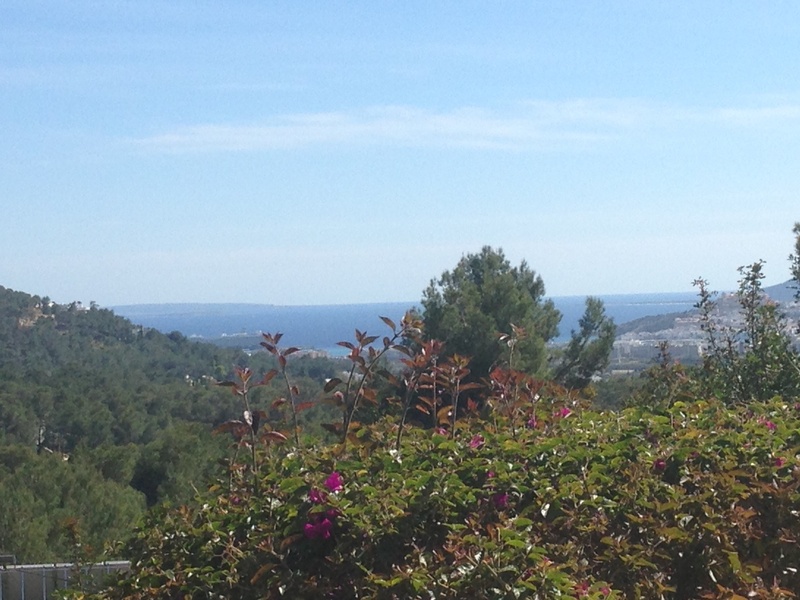 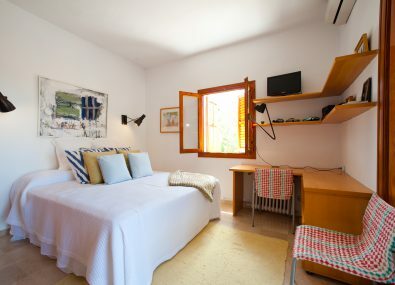 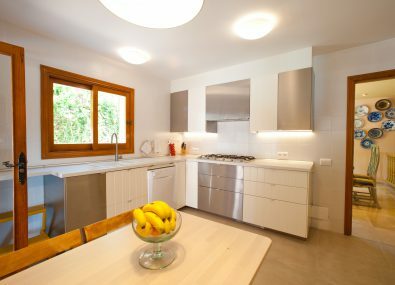 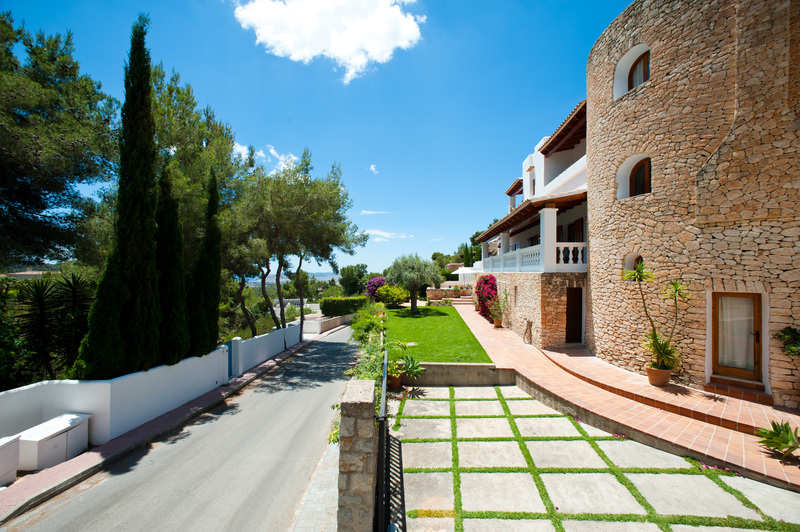 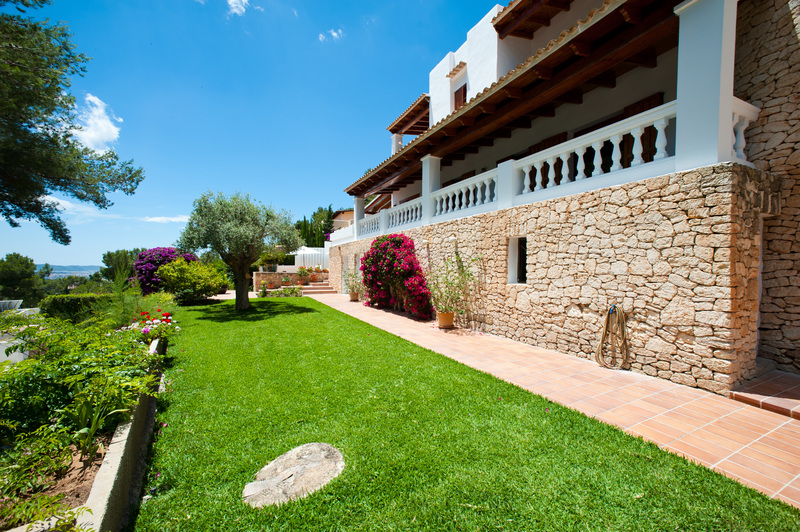 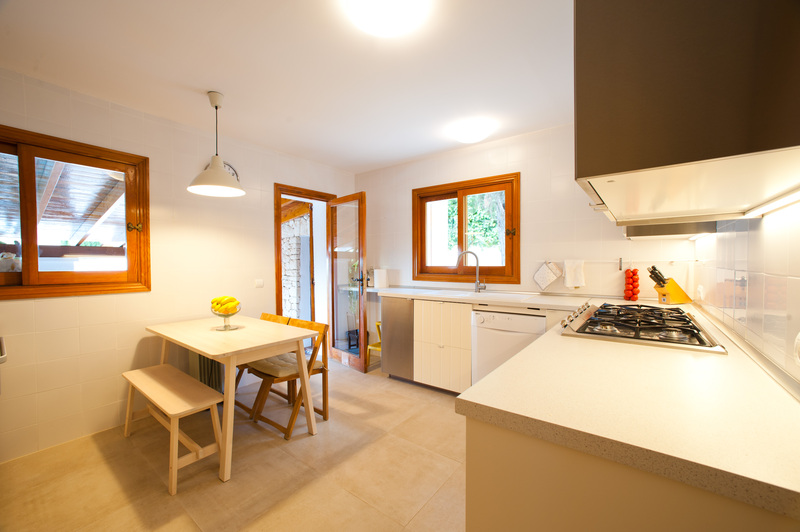 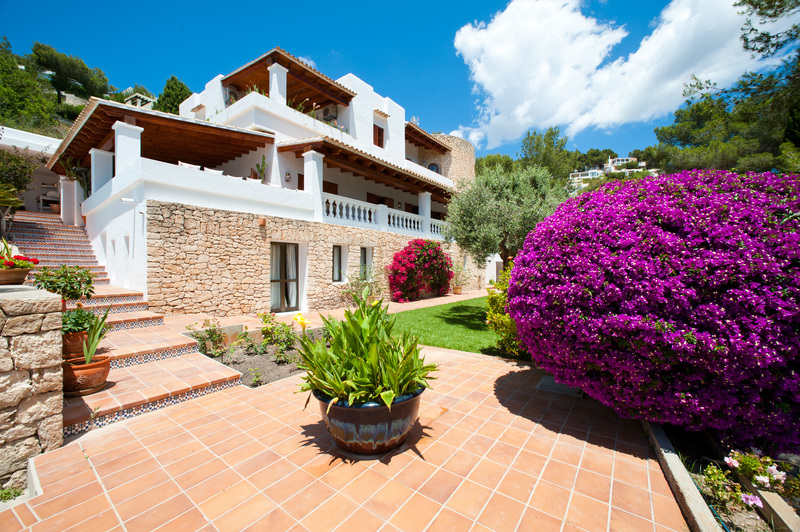 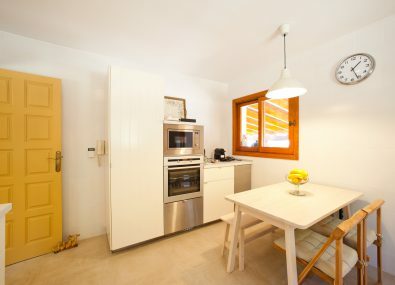 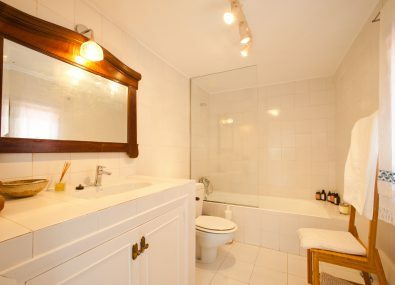 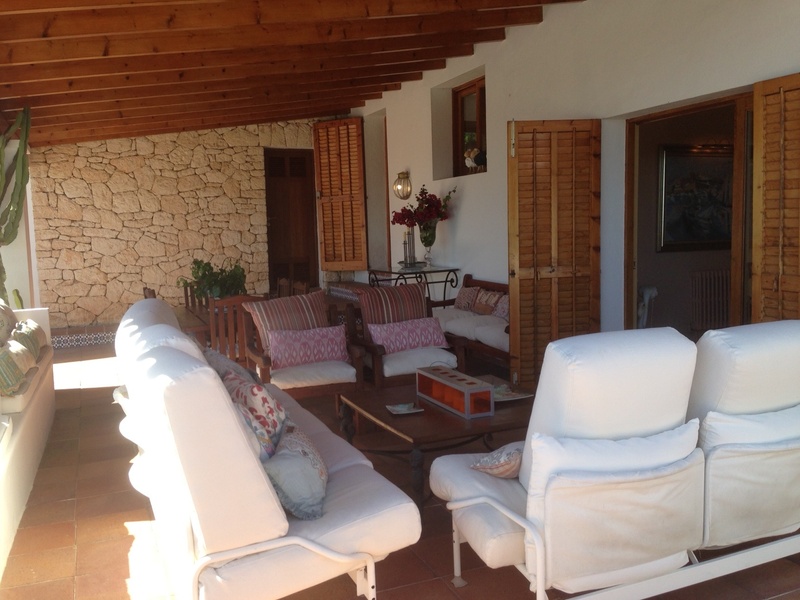 Close to all the amenities in Ibiza Town and Jesus; the nearest beaches being Talamanca and the resort of Cala Llonga. 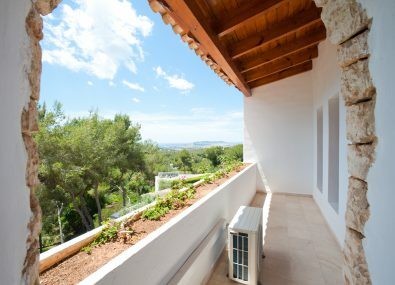 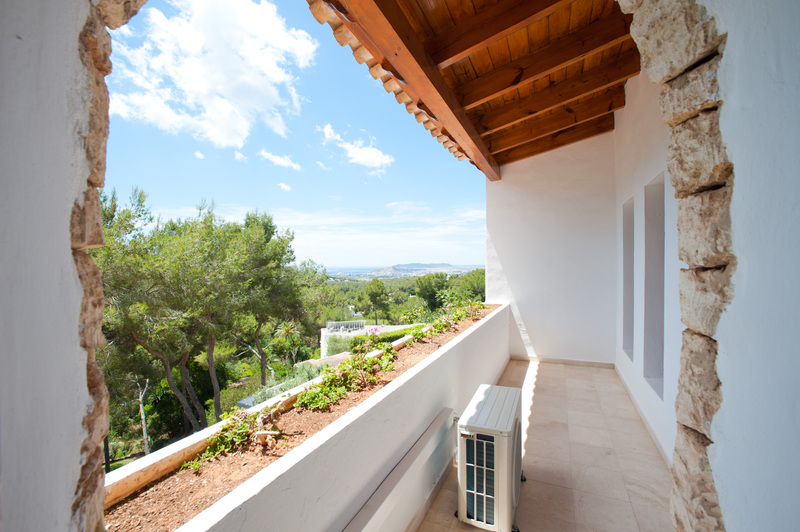 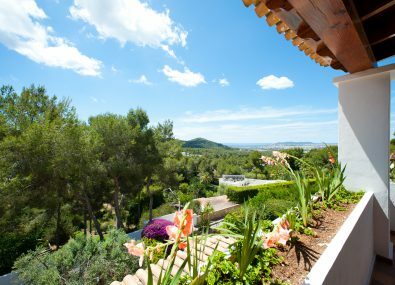 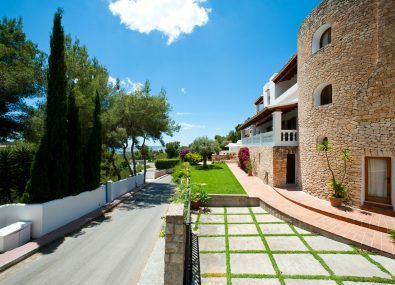 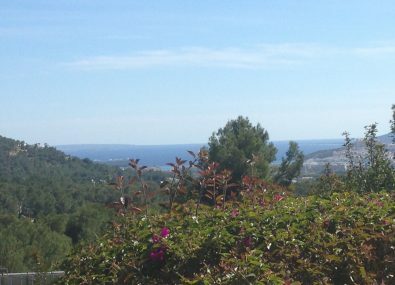 As this villa in Ibiza is also located on a hillside, the views to Ibiza Town, Ibiza Old Town, the island of Formentera and the sea beyond, are incredible. 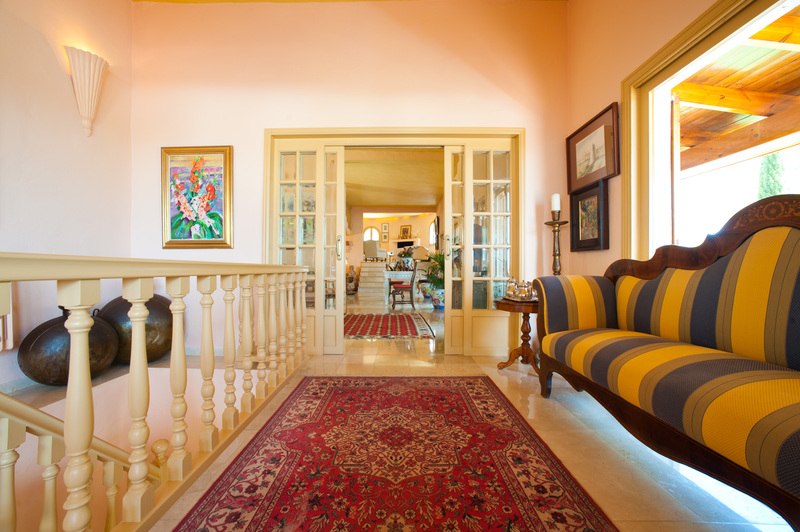 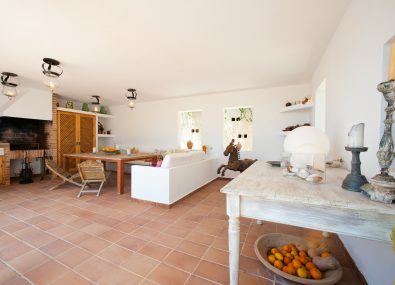 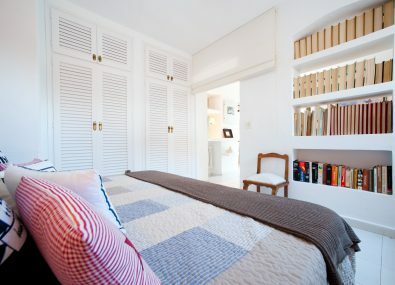 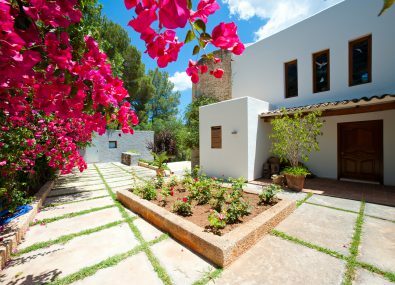 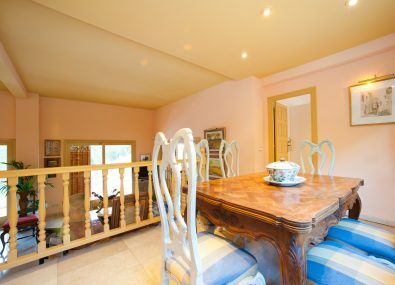 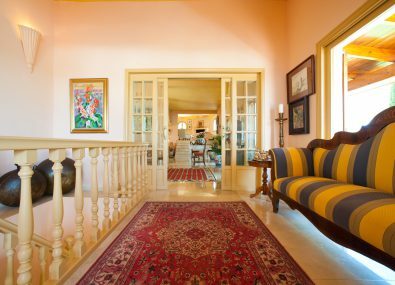 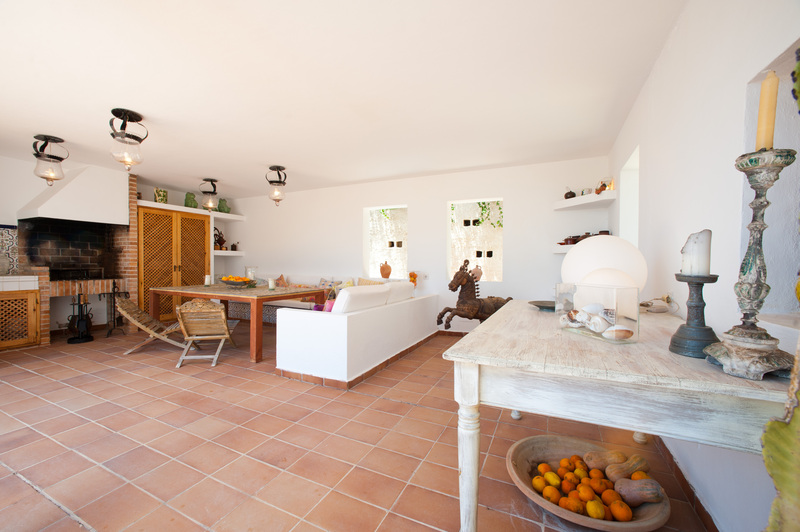 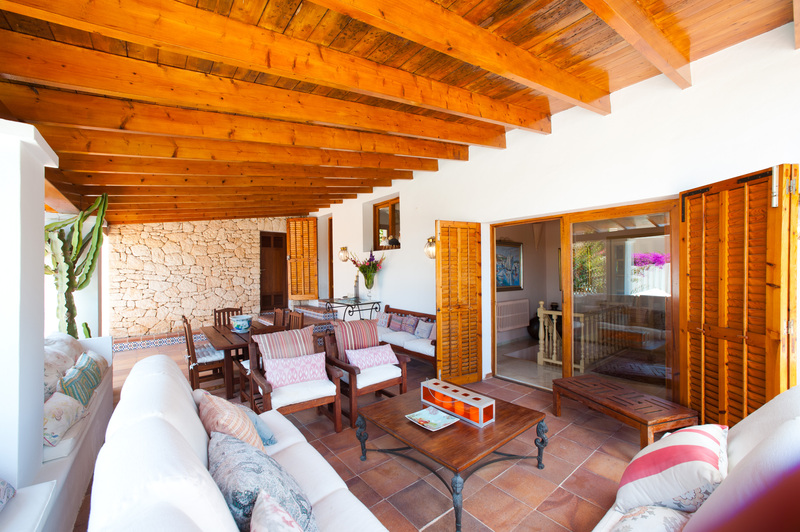 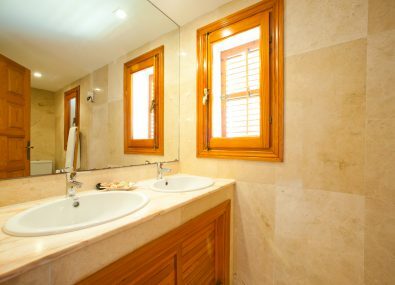 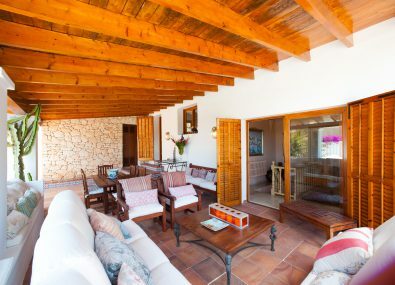 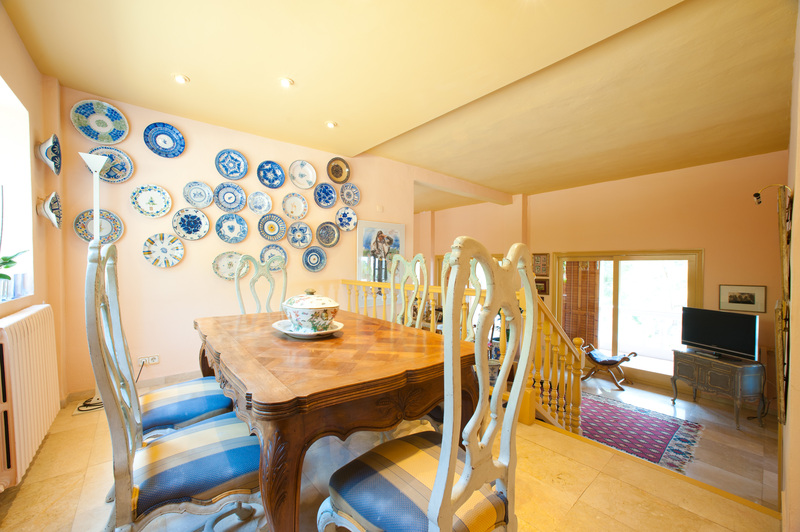 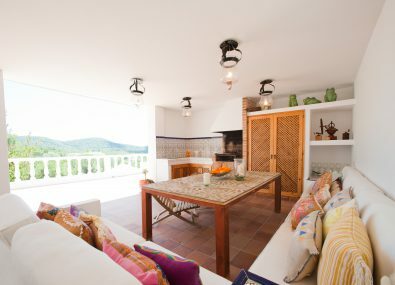 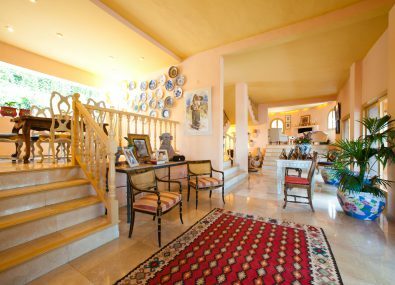 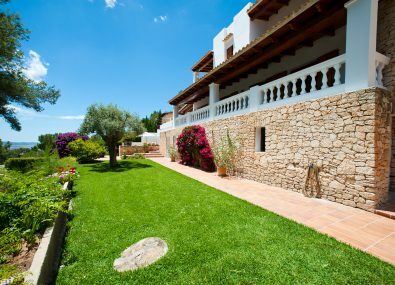 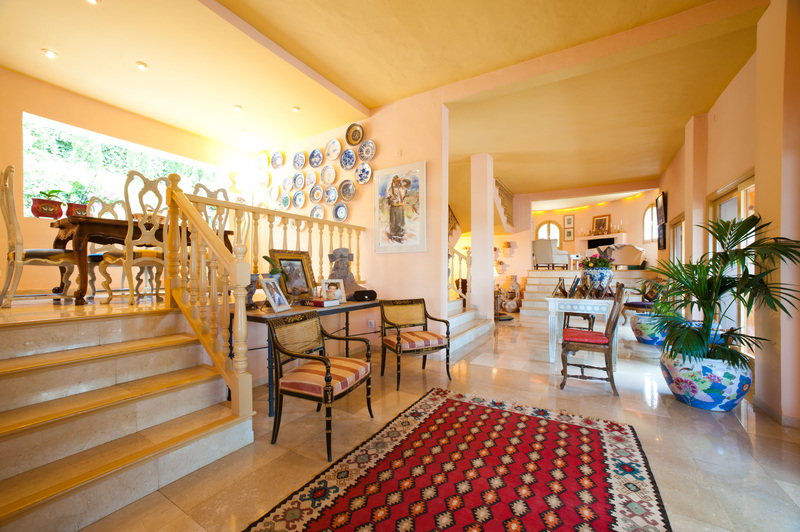 This grand villa in Ibiza is decorated and furnished in a traditional style to a high quality and the accommodation is set out on several levels. 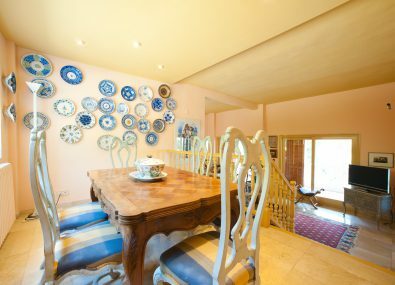 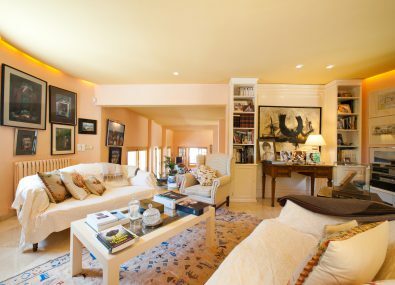 On the ground floor you will find the very grand and spacious sitting room with a raised salon, dining area and a separate fully fitted modern kitchen. 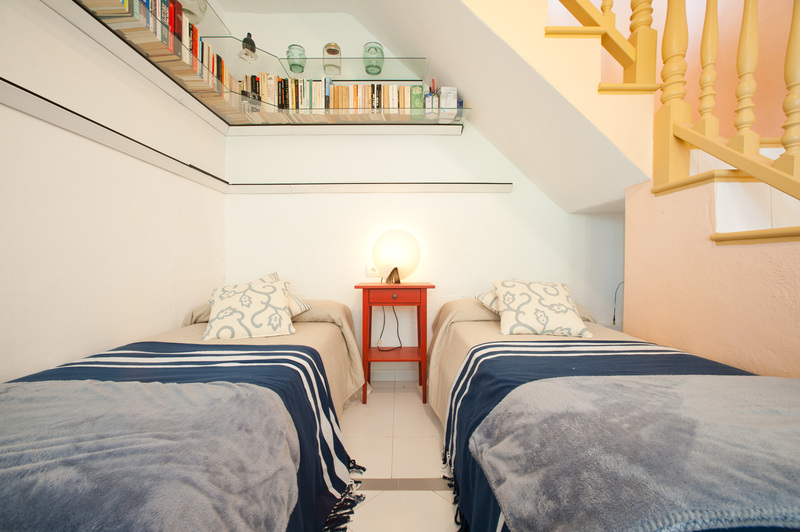 There are four bedrooms and three bathrooms in total, sleeping up to ten people. 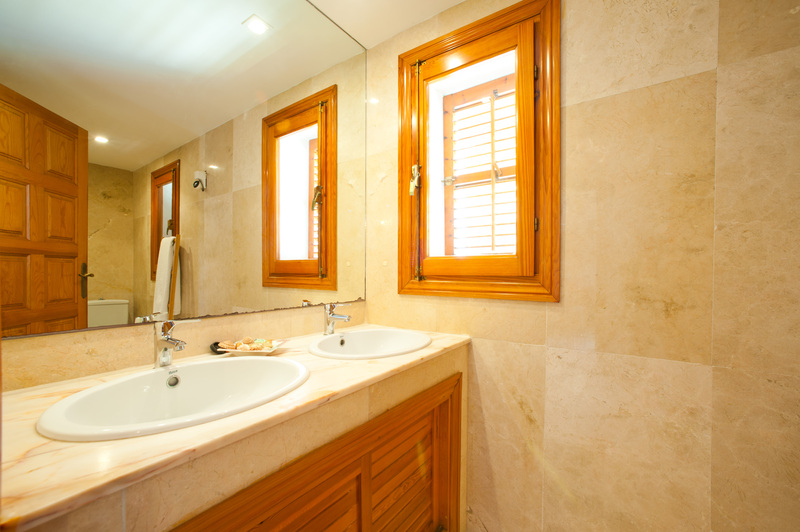 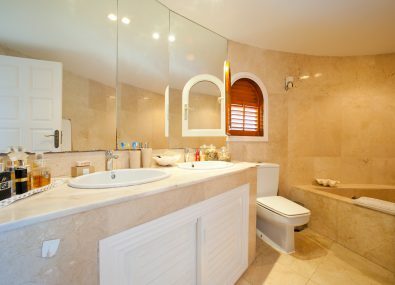 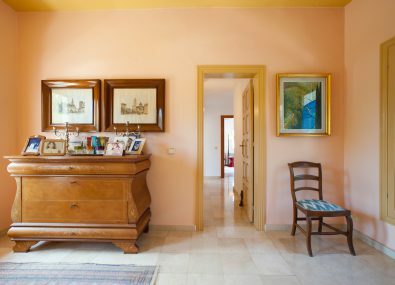 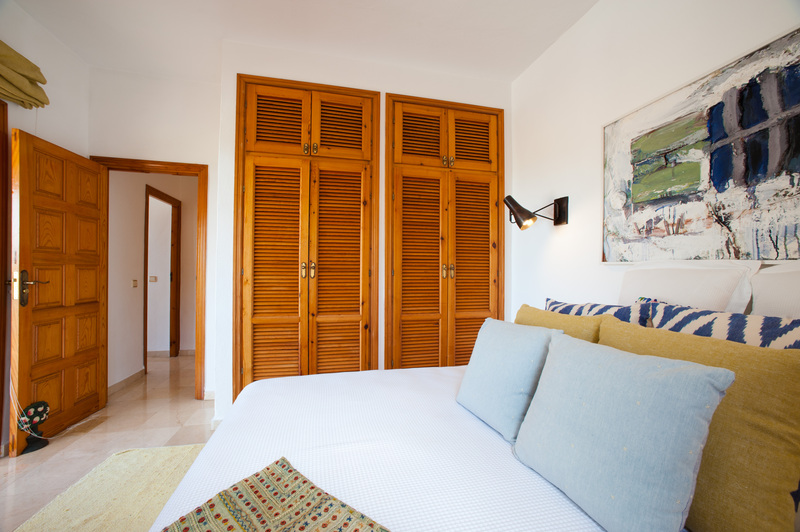 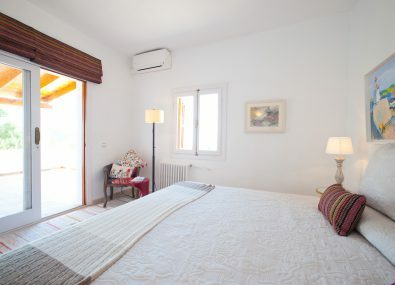 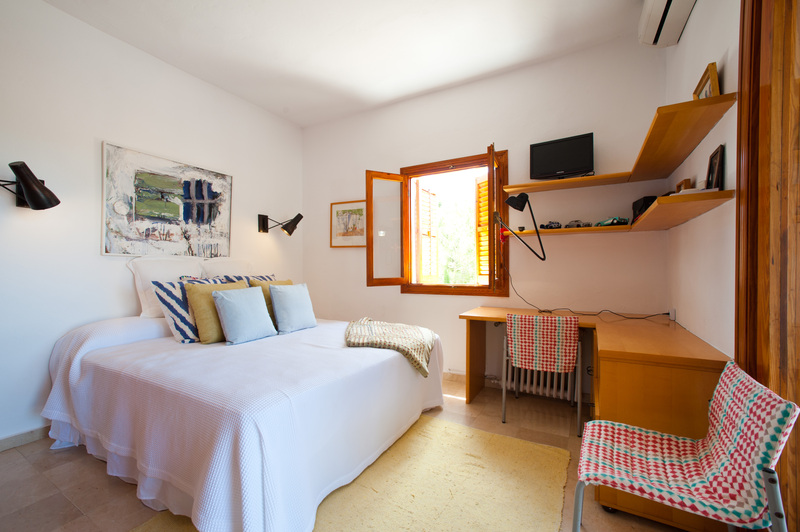 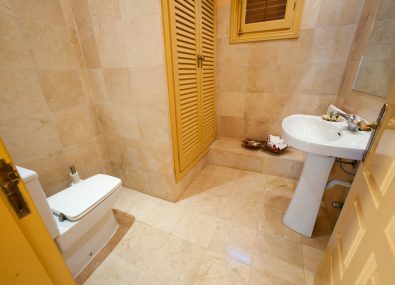 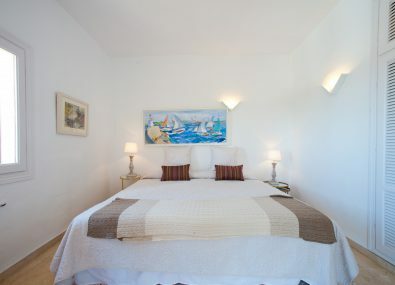 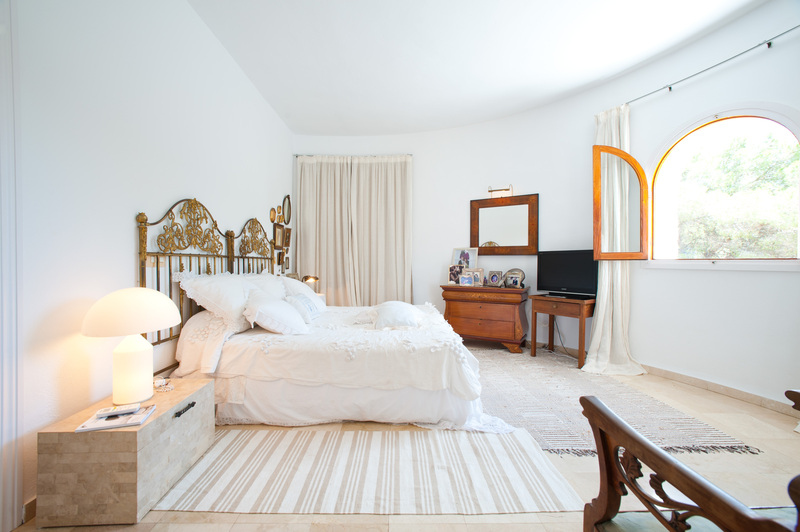 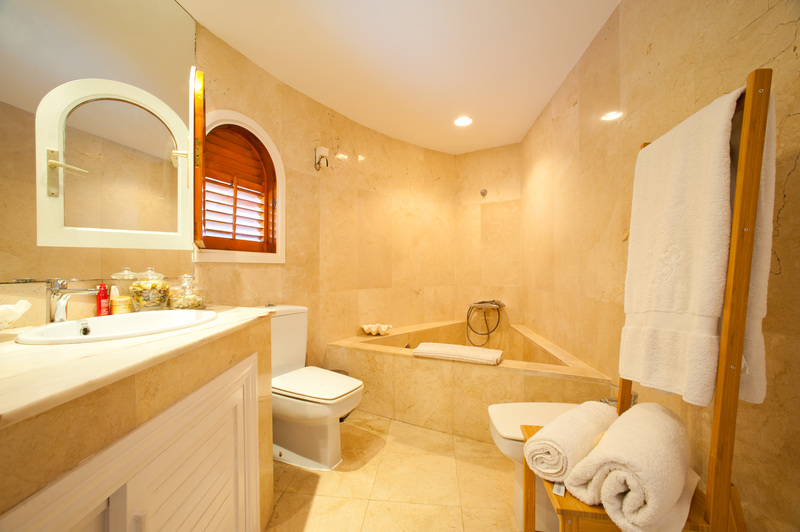 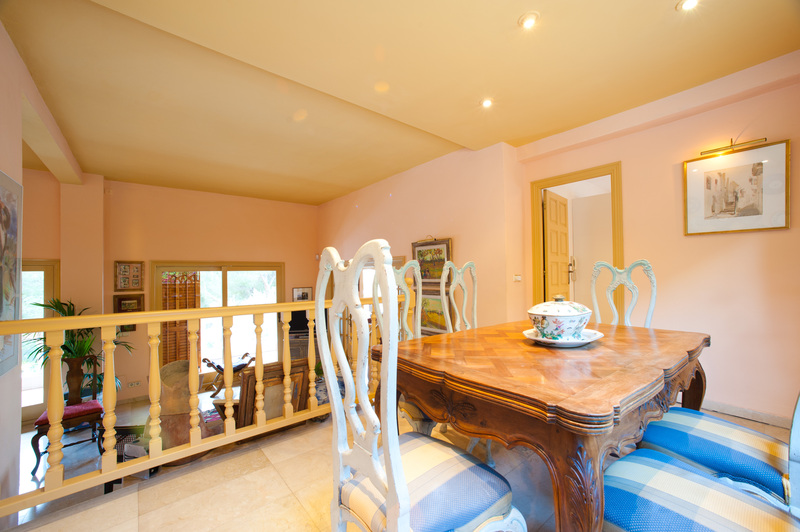 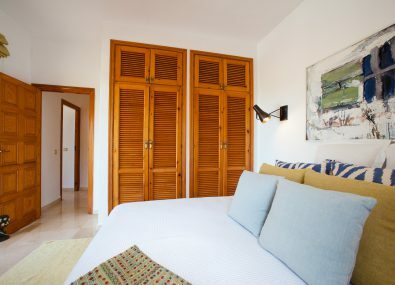 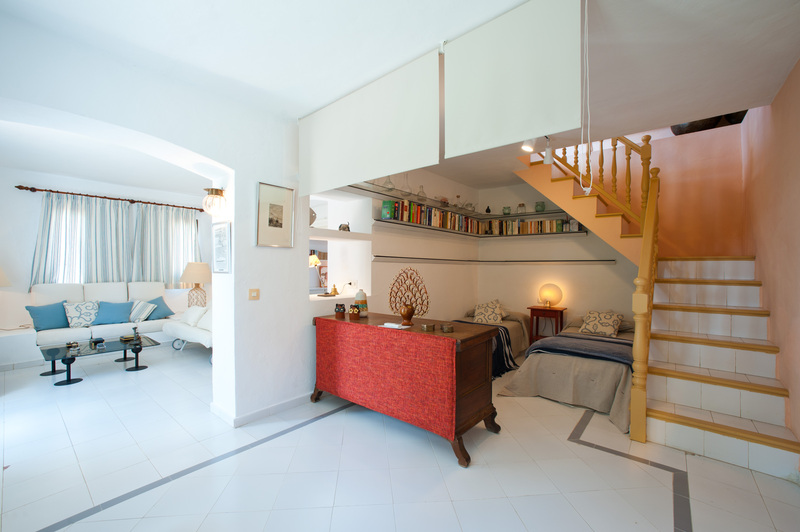 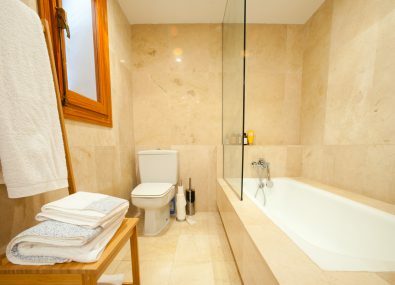 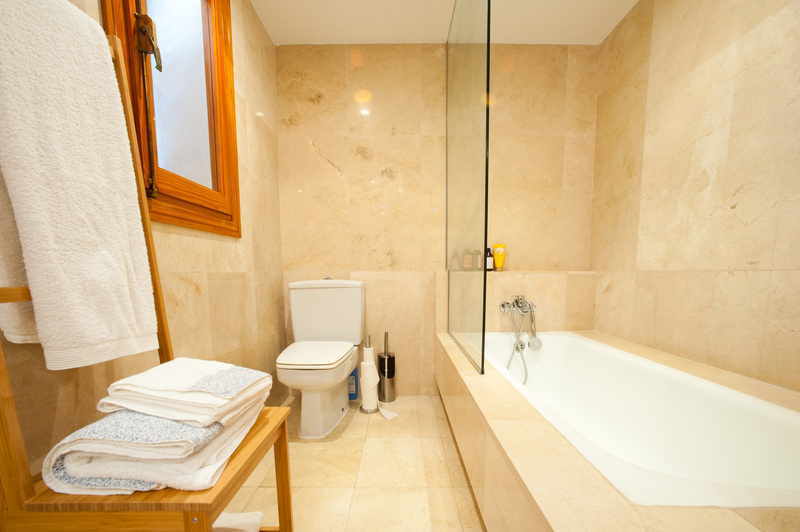 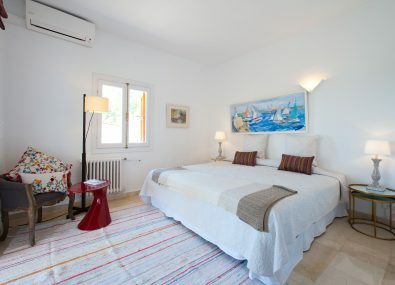 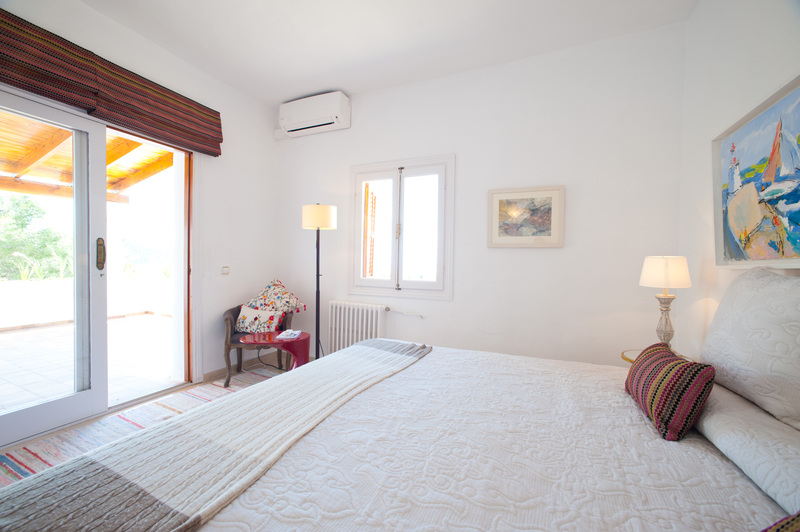 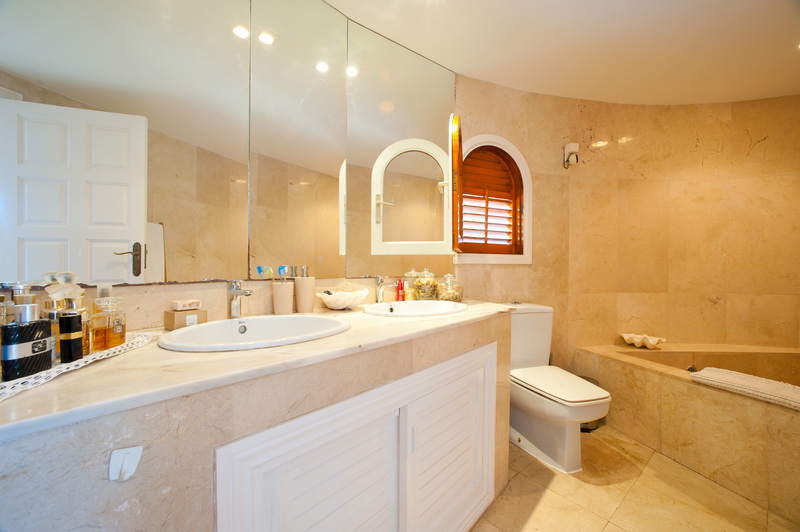 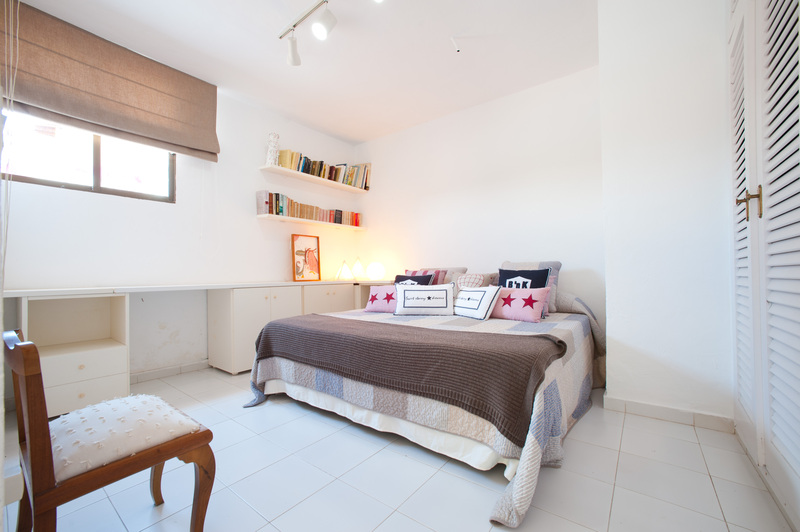 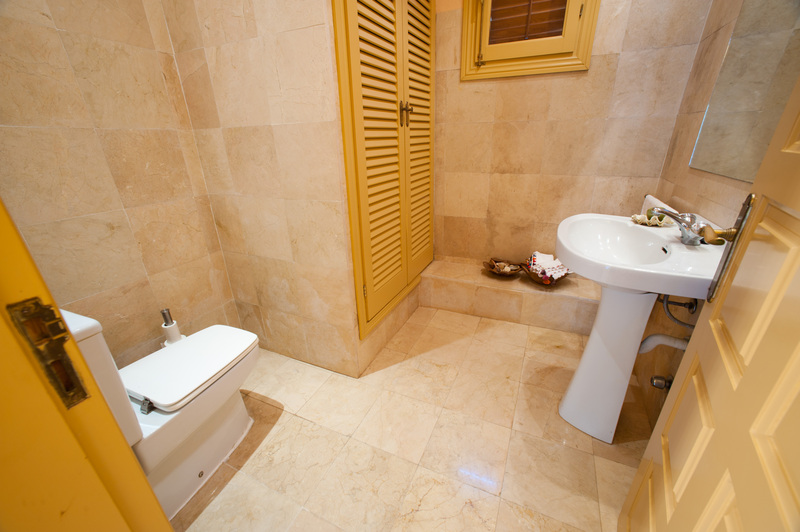 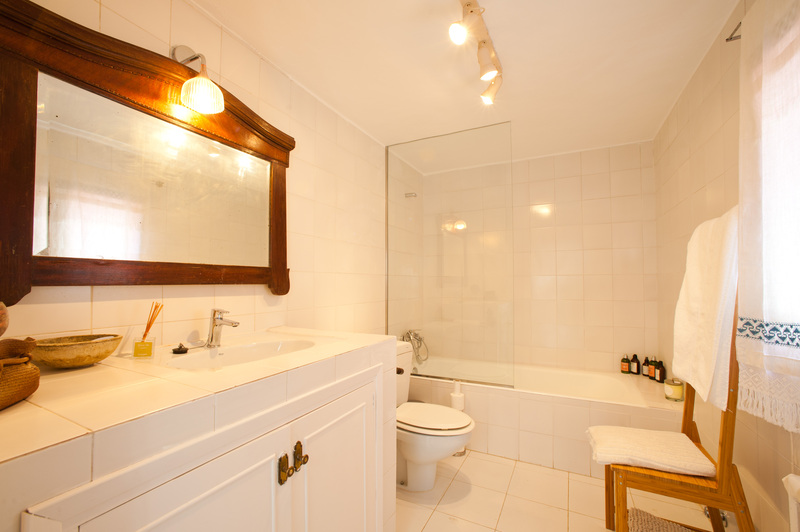 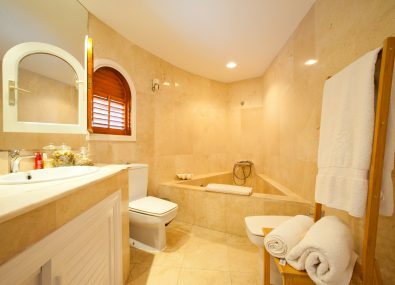 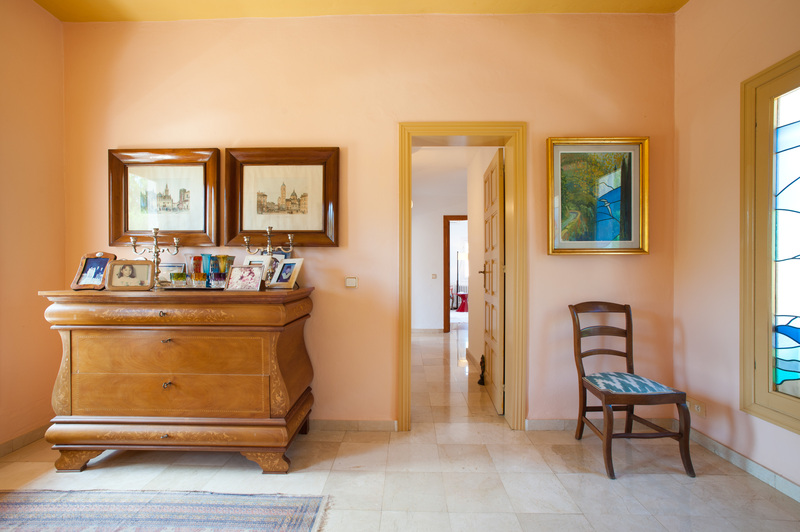 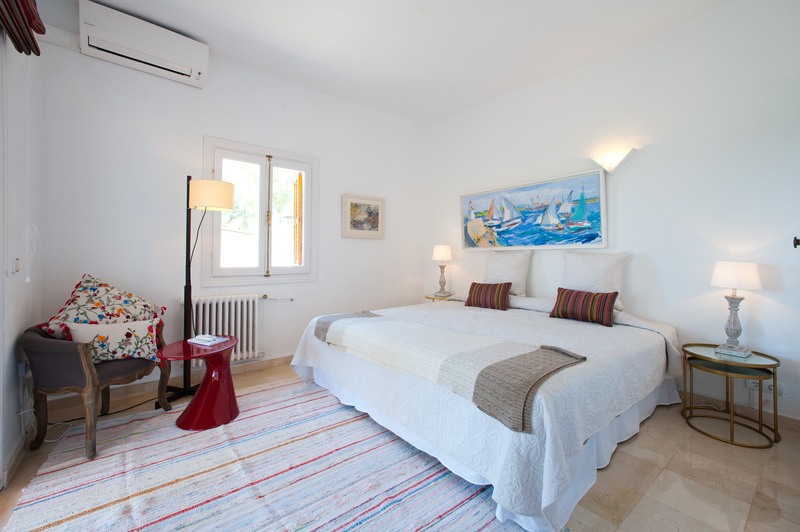 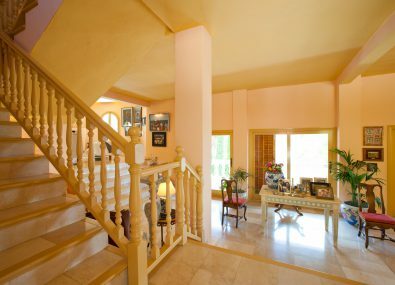 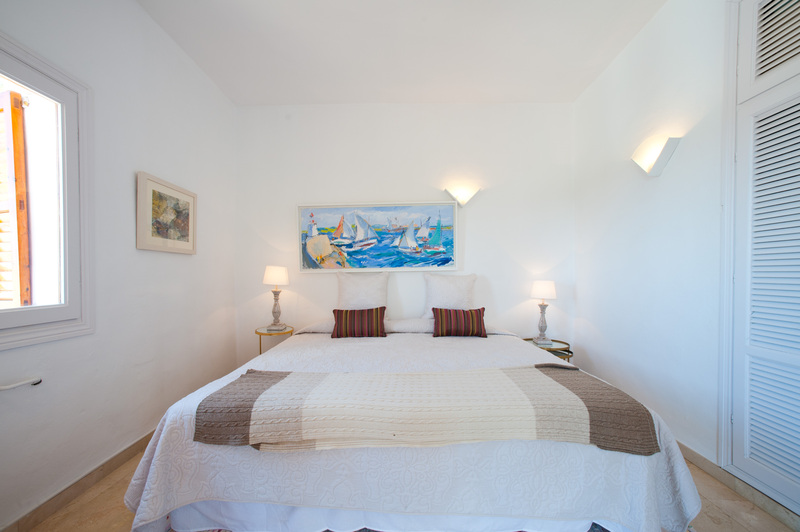 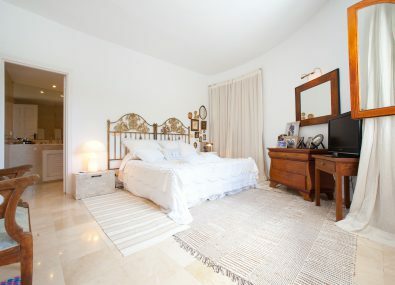 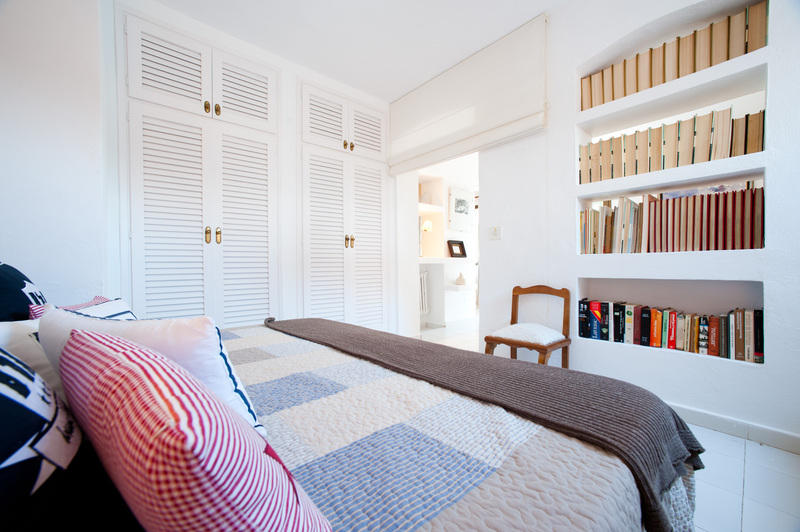 Three of the villa’s bedrooms are located on the first floor together with two bathrooms. 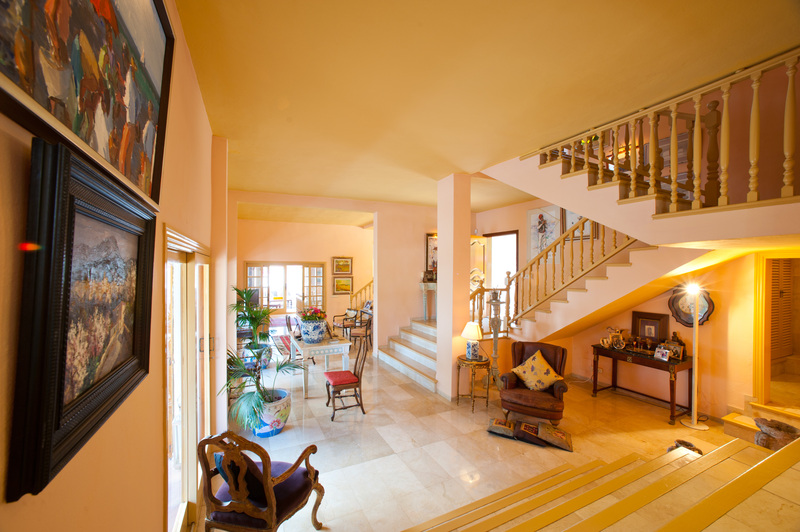 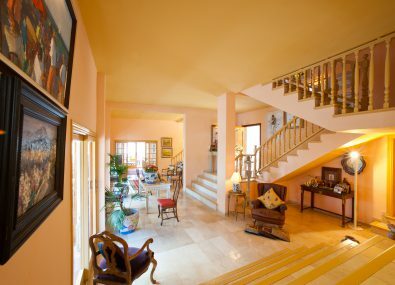 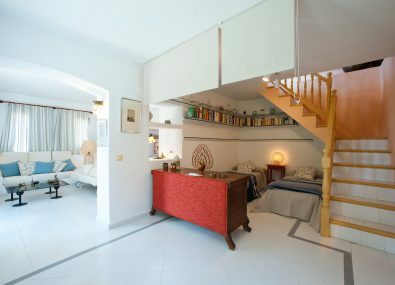 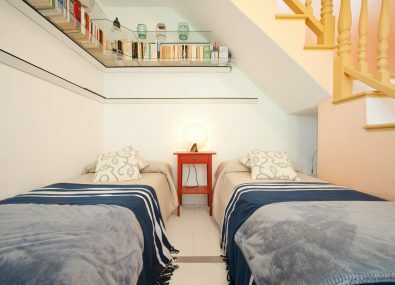 Stairs lead from the ground level down to a separate guest suite with a double bedroom, lounge area, en-suite bathroom, in addition to a separate area with two twin beds. 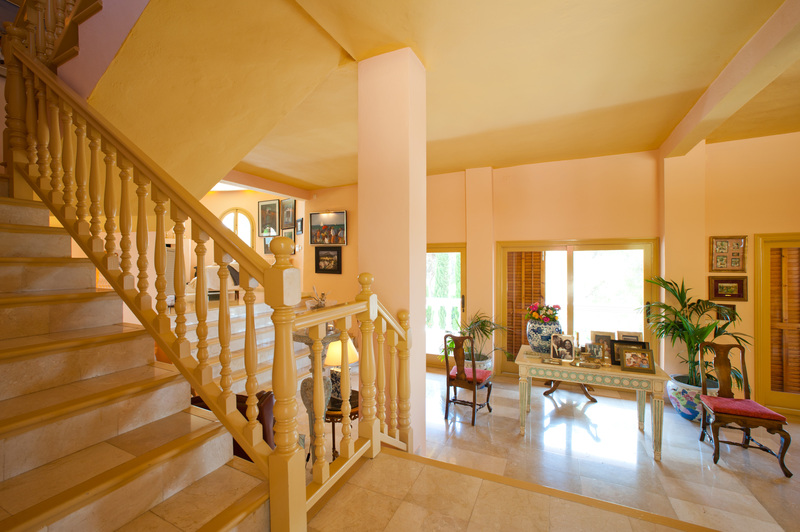 This lower level suite has its own private entrance from the gardens. 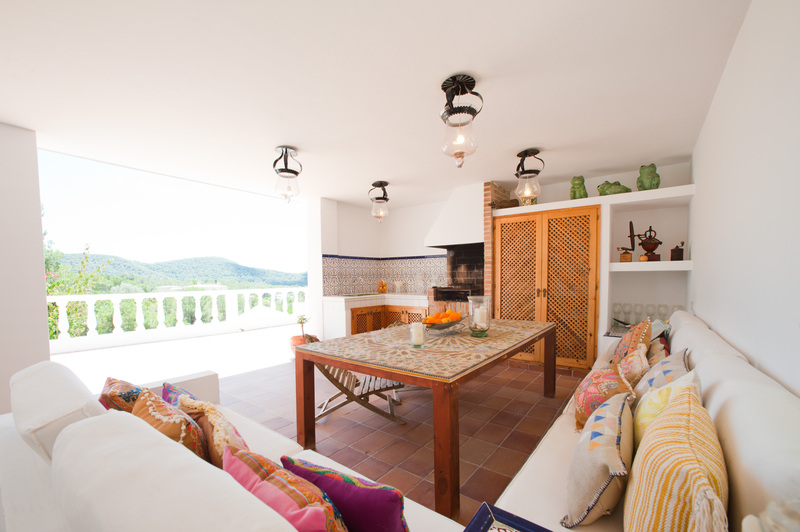 Can Bernat has many beautiful outdoor terraces and chill-out areas, also including an outdoor kitchen and alfresco dining area with BBQ. The large swimming pool is surrounded by terraces with sun loungers. 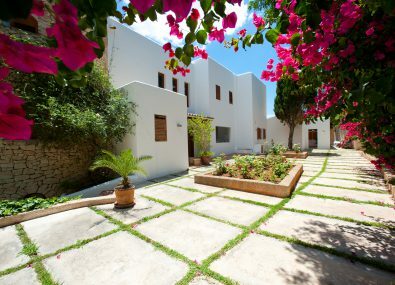 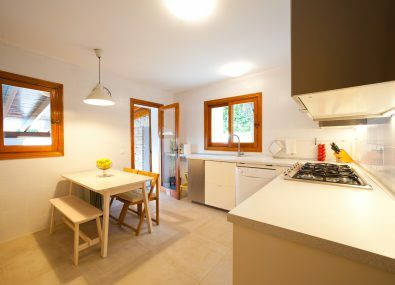 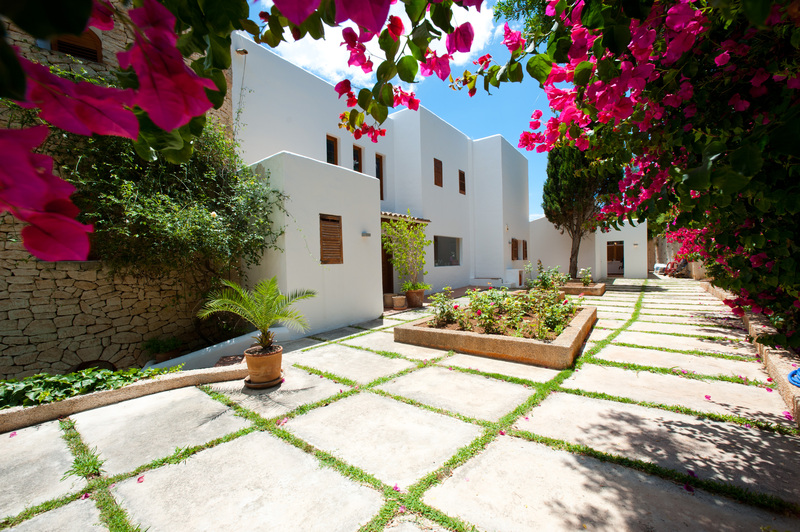 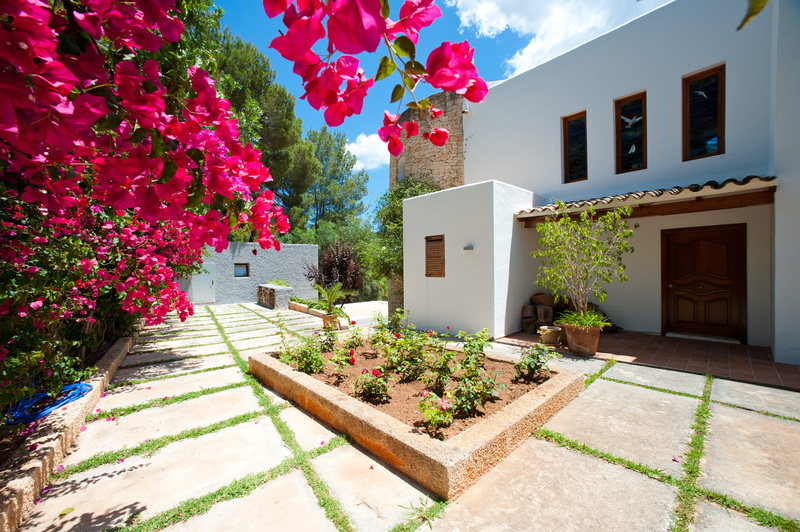 This villa in Ibiza includes a housekeeper six days per week. 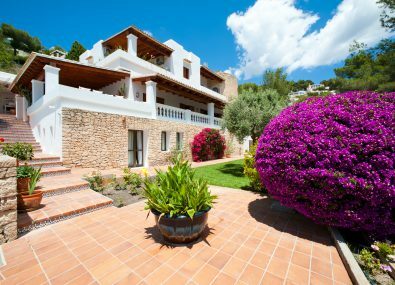 Ibiza Villas Direct offer our guests a personal service, we can arrange car hire, boat charter, chauffeur and private airport transfers, in-villa massage and beauty treatments, weddings and much more.